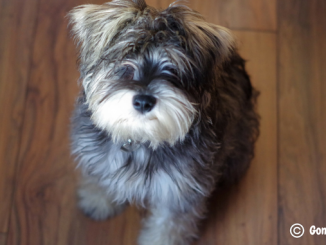 Providing mental stimulation is just as important as taking your dog for their regular walk. 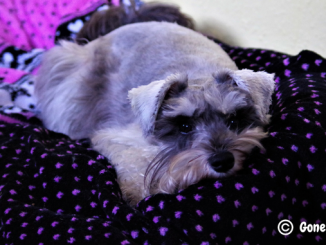 Brain training games are a great boredom breaker for your dog, and in fact, it tires them quicker than physical exercise. And with all that problem solving you’ll also alleviate behavioural problems, helping your pooch live a calmer and happier life. 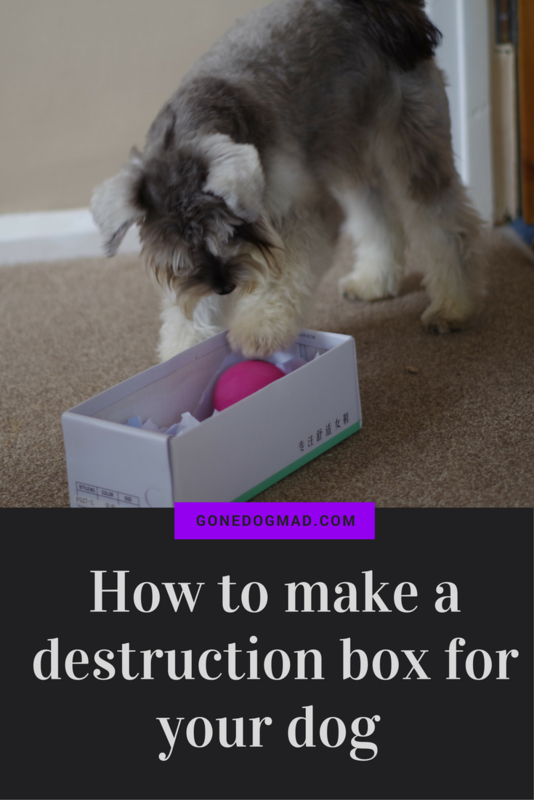 A destruction box is a great way to give your dog’s mind a good workout. 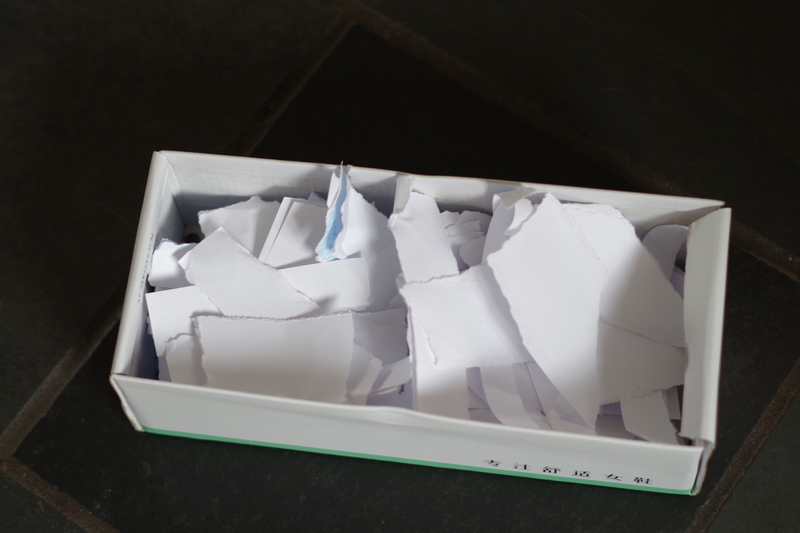 It’s just a simple box filled with various items with treats hidden inside. Pup has to rummage through to find all the puzzles, then individually work out how to get the treats. But be warned, it can get messy. Personally, I don’t mind the effort when I get to see Loki’s little face light up. Any old box will do, but I’ve found a shoe box is the perfect size for Loki. 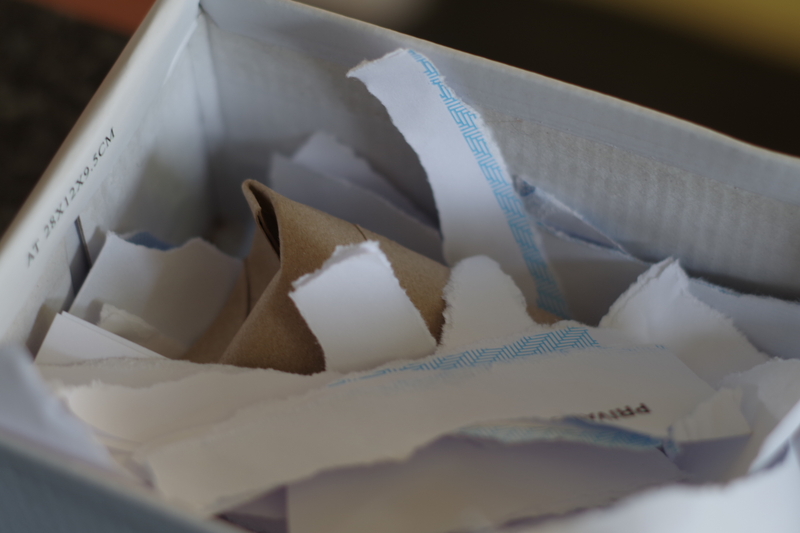 Start by filling your box with ripped up pieces of newspaper or packing paper. I also throw in a few treats at this stage so she can get some easy wins. 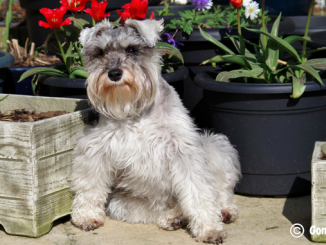 We tend to go for treats low in fat with our sensitive schnauzer. Now’s the time to start keeping all your toilet rolls when you’re finished with them. You’ll be amazed by how many uses they have. Just check out these 4 creative DIY brain games for dogs that you can make in no more than 5 minutes. Loki loves my kitchen roll pinata! 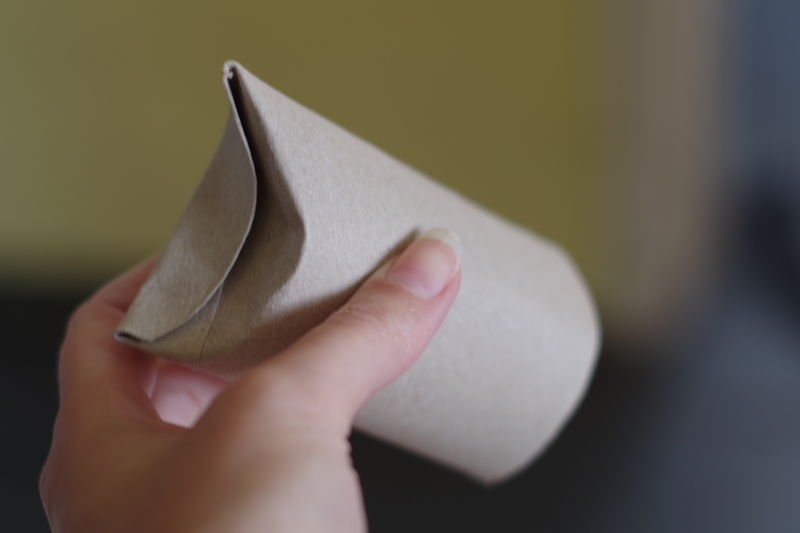 Simply fold over the ends on one side of the toilet roll and drop in a few treats. Now close over the other end and place it in the box. We all love Kongs in my house. Filled with peanut butter, they’re one of Loki’s favourite treats. It usually keeps her entertained for at least half an hour! I highly recommend you buy one if you haven’t already. They’re worth every penny and come in all different shapes and sizes. This rubber pronged treat ball is a great puzzle game on its own. 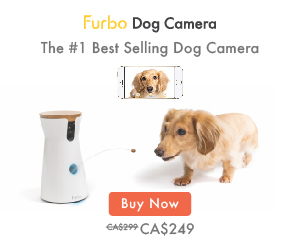 But it has the added bonus of being a good tool for cleaning your dog’s teeth and keeping their gums healthy. 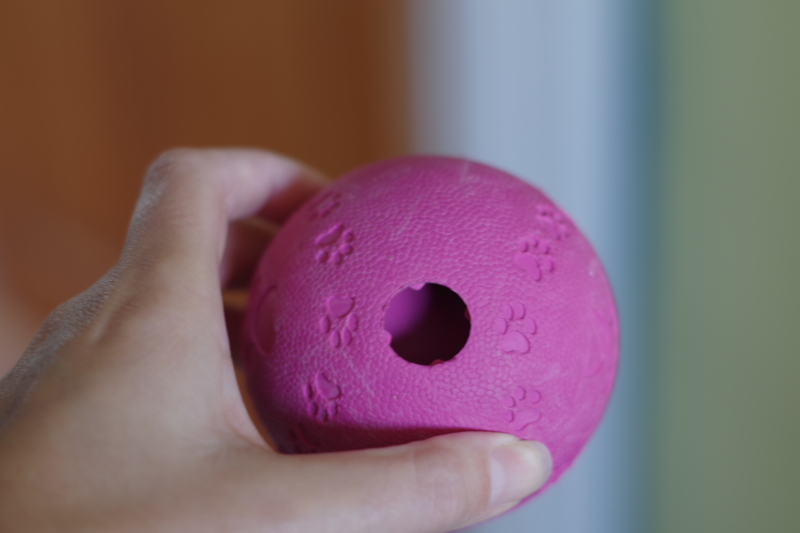 As your dog works to get all the treats out of the grooves, the rubber spikes will help fight plaque buildup. I like to throw in a long-lasting chew that Loki can settle down with after mastering her destruction box. I usually wrap it up in paper so it’s more of a challenge for her. This treat is called a paddywack and is a dried beef product. 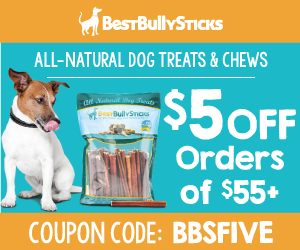 It also claims to help fight plaque and tartar in dogs. Be warned they are rather hard so if you have a small dog you may need to break them up into smaller pieces. But because they’re particularly strong, they keep our Loki out of trouble for an hour or so. 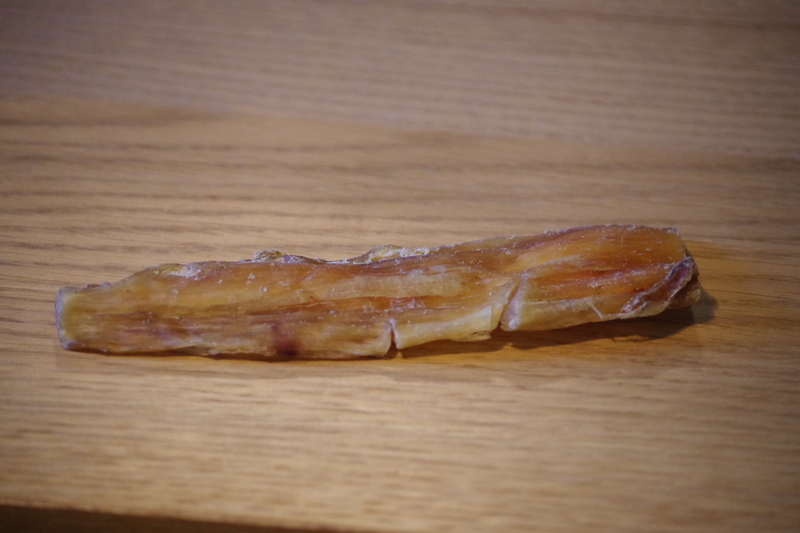 You could also try throwing in some bully sticks like below, or beef tripe if you’d rather miss the workout! 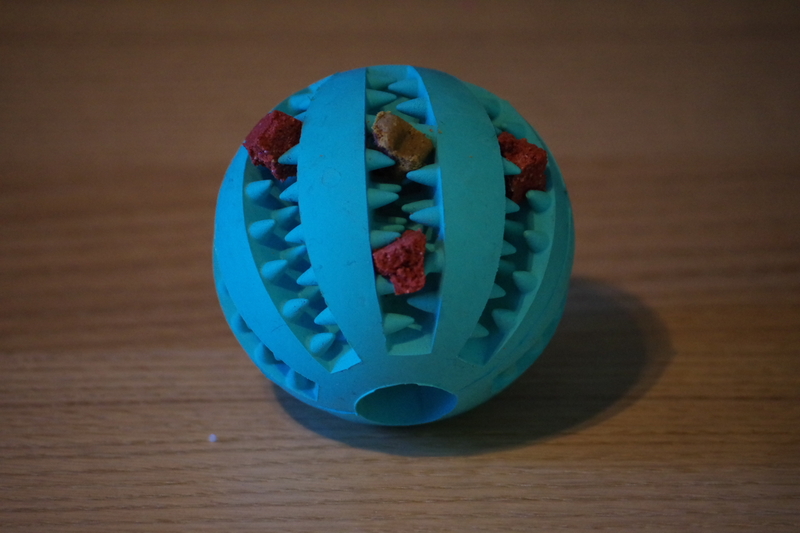 And lastly, I’ve added a Trixie treat ball I bought from Amazon. This one’s particularly good because it has an inbuilt labyrinth. The treats don’t fall out as quickly so it keeps Loki out of trouble for a while. 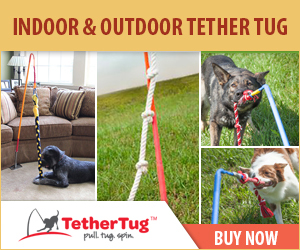 It seems pretty robust too if your dog’s a chewer. If you’d like to check this one out you can do so here. If you’d rather not buy treat puzzles, there are plenty of home-made options you can try. 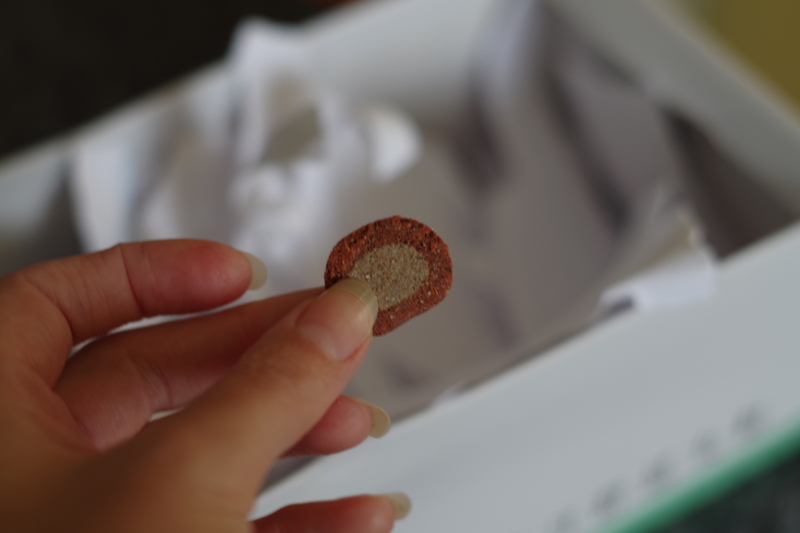 For example, place some treats in the middle of a piece of paper and scrunch the paper around it. 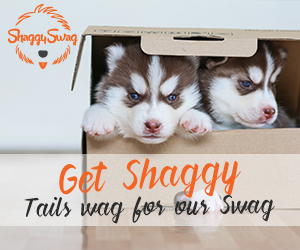 Roll up a flannel with treats inside, or hide treats and chews in an egg box. 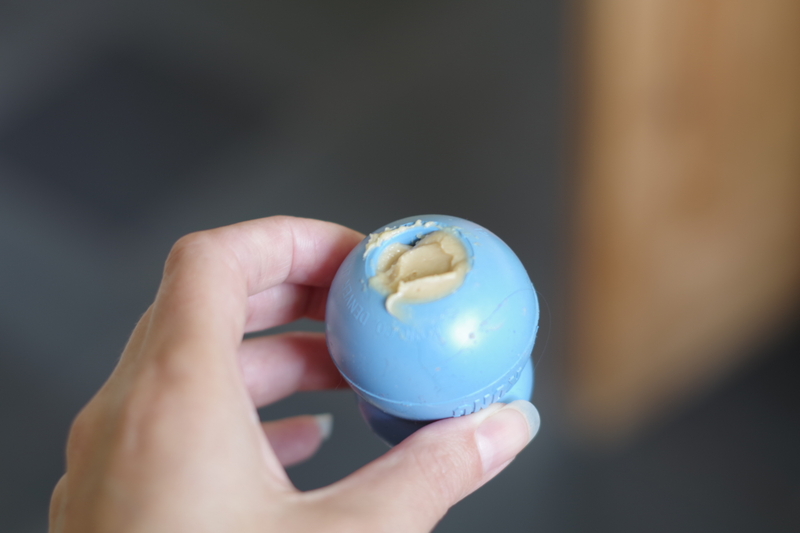 Just think about household objects you can use that’ll make a great challenge for your dog. But always make sure you’re not giving them anything they can potentially choke on. Avoid anything too small, sharp or brittle. And always supervise your dog when using the destruction box. That way you can jump in should they have any problems. 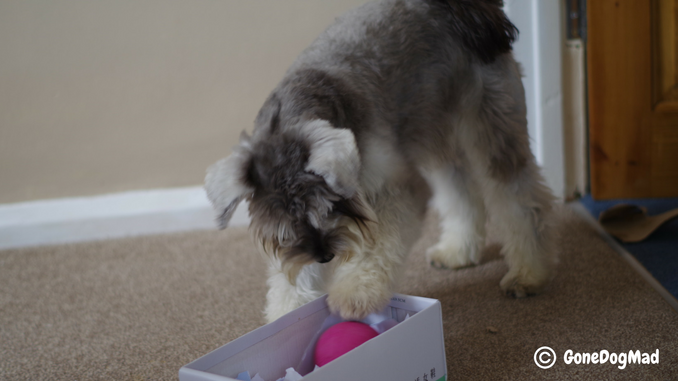 A destruction box satisfies your dog’s natural instinct to use their nose and explore. It only takes five minutes to put together, and if they’re anything like Loki, they’ll love tearing up the paper and hunting for their prizes. So without further ado, here’s Loki rocking her destruction box.